Some nonprofits have taken notice of the benefits that live stream video offers and are adopting this powerful visual technology to boost their marketing efforts, elevate awareness for their causes, and capture real-time social injustices and public demonstrations. Popular applications like Facebook Live, YouTube Live, and Instagram Live are gaining traction with nonprofits since many organizations are already using the platforms for social media. There are also emerging civic media applications like CausEcho that are tailoring their features and functionality specifically to help causes and advocacy groups mobilize supporters in response to real-time events and crises situations. If you’re a nonprofit in 2018 and you’re not using live stream video as part of your marketing strategy, you might be missing out on a huge opportunity. Luckily, live stream video isn’t going anywhere anytime soon, as the statistics and the applications just keep getting better. Below are 4 ways your nonprofit can benefit from including live stream video in your marketing strategy. 1. Broadcast Live Events In Real-Time. By broadcasting your events over the Internet, you can increase the number of attendees who experience your event regardless of their location. Donors and supporters who otherwise would not be able to attend your events can participate virtually through live stream without geographic restrictions. 2. Mobilize Your Community In Critical Circumstances. Gone are the days of having hours to days to react in a crisis situation. Today’s response time is measured in minutes. Live stream video plays an important role in getting vital information to supporters and stakeholders immediately. Facebook Live and others have allowed organizations and individuals alike to connect with key audiences in emergencies. 3. Enhance Storytelling With Live Content. Bring your supporters directly into the field of your cause work and allow them to engage with questions and interact in real-time with staff and volunteers. In addition to raising awareness for your cause and activities, live video content also allows you to capture key moments, make special announcements, break important news, and deliver compelling stories directly to your supporters. 4. Keep Your Donors Engaged To Boost Fundraising. 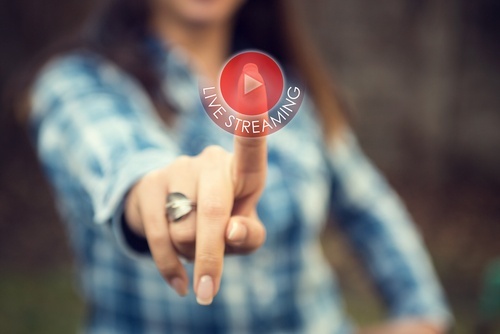 Live stream video has essentially transformed the fundraising game in the digital age because savvy nonprofits have leveraged the technology as a way to reach their audiences on the platforms and devices they use most often. Live video content allows these nonprofits to be transparent in their approach to inform, educate, advocate, and fundraise on behalf of their cause and the people impacted by their work as they strive to build strong communities of loyal donors and supporters. Please tell us in the comment section some of the ways your nonprofit is using live stream video. Download our free ebook to prospect, engage with, and attract new supporters to your nonprofit.